Business financing and venture capital comes in many flavors – many more than the traditional venture capital highlighted in the media. Enlightenment about alignment with your investors is rare to find and takes a lot of kissing frogs along the way. Your company is heavily influenced from whom you take your capital — sort of a corollary to ‘you are what you eat’. Your objectives need to be aligned with the objectives of the capital — and that is much harder to execute than most of us imagine. 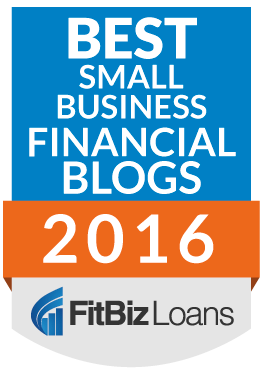 It also takes much longer to find those properly aligned sources of business financing than we would all prefer. This is even made more difficult because our preferences and objectives often change over time such as the question whether we are building to last or building to flip? Will you happen to want to sell when the capital source wants to exit? Do VC myths help or hurt you? Your company culture can affect your bottom line more than you’d ever guess. In fact, I believe that culture can be a deep competitive advantage for certain companies and is often an under appreciated part of a company’s strategy. We have explored various types of employee ownership to support a culture and strategy. I have written about the importance of giving feedback while telling the truth with compassion. Culture is not beer on Friday afternoon or a Foosball table — culture is the unwritten understanding of how the organization handles challenges and opportunities. What form and strategy works best for your growing, profitable company? Form should follow function in young companies (post about Vanguard and Berkshire Hathaway), and we all have many more choices about how to structure our businesses that we may imagine. Thousands of decisions are available to you to build a culture and a competitive advantage, similar to the thousands of small decisions used by makers of fine wine or coffee. To be better, you must first be different. To build competitive advantage, your company must first be different. Will your investors or sources of business financing increase your competitive advantage and differentiation, or will they slowly trend your company toward the mean and toward what every company does? Is your culture and strategy created top-down or bottom-up, and which is better for your company? Can your company utilize a structure where customers provide new capital? Can partnerships extend your skills even further? Taken all together, the structure of your company and sources of your capital heavily influence what will happen with your company. 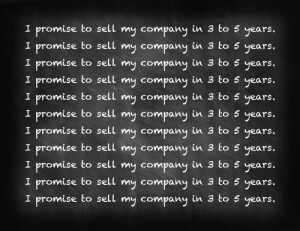 To Sell or Not to Sell — is there any more important question for a business owners? This assignment takes very different skills from managing a business. Will long-term regrets stay with you longer than short-term gains? Do you sell to competitors, flippers or long-term capital? When and where do you raise capital or business financing? Particularly in a sale, bad accounting can be bad for business. I’ve attended many Berkshire Hathaway annual meetings over the last two decades in Omaha, my high school home town, and I have related many lessons learned from Warren Buffett and Charlie Munger. An example is this post about the Berkshire Hathaway meeting in 2012. Buffet and Munger raise many questions, including the question of how a person can be as disciplined as Buffett, but also know when to break the rules as Buffett does all the time. There is also this prediction about the next CEO of Berkshire Hathaway after Buffett. These themes and more were fun for me to write about. I am looking forward to the new year and to the next 100 posts.